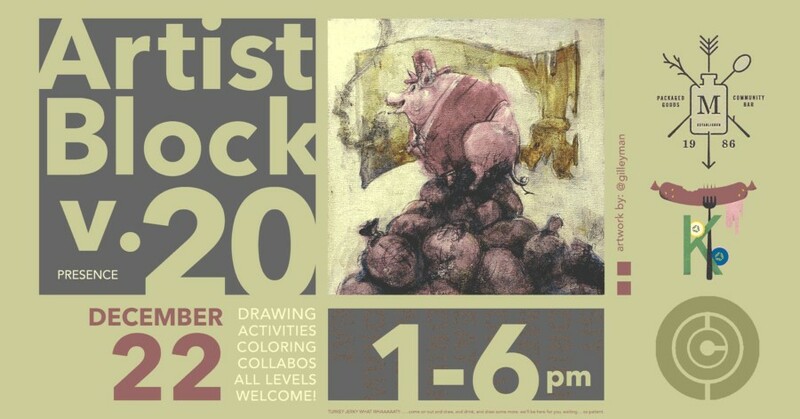 It’s the 20th Artist Block!!! where everyone is invited to meet up for drinks, draws, and collaborations! We’ll have a box of random art supplies you can borrow, free doodle paper, fun activities and seasonal coloring pages! YOU DON’T HAVE TO BE AN “ARTIST” TO ATTEND! just need to be 21 and over to get into the bar! Plenty of easy parking near Marias!